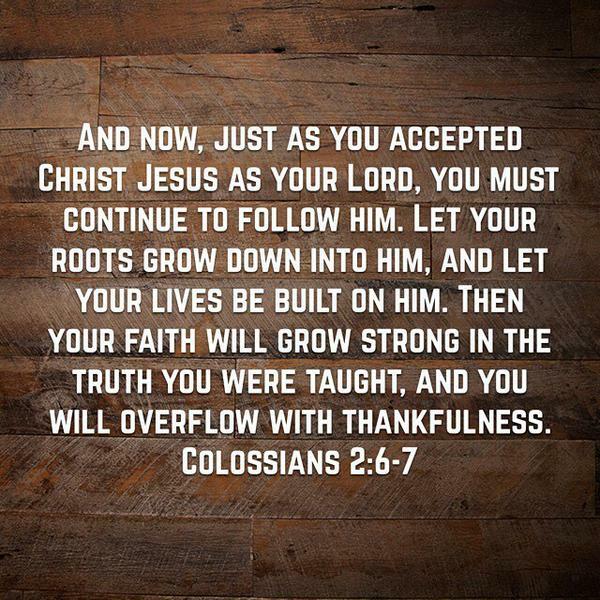 We have made an intentional decision to grow up in Christ. 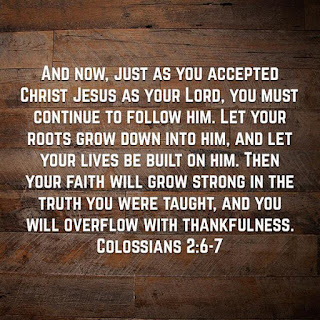 Maturity is all about being IN CHRIST, Walking in Christ, Rooted in Christ & Being Built up in Christ. 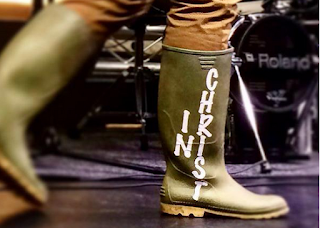 Some people build their lives around things close to Christ but not Christ. Some people build their lives around worship. They live to reach that ecstatic moment and are not fulfilled if it is not reached. Others around prayer or fasting. These things may bring us to Christ but they are not Christ.